Hoppi Wimbush hasn't added a story. We are Tao and Hoppi Wimbush, founding members of the Lammas Ecovillage and creators of the Lammas Earth Centre – a centre for transformation and healing of our earth, of ourselves and each other. The building is set amidst a collective of eco-smallholdings which form the Lammas Ecovillage. A landscape of gardens, orchards, woodlands and fields enables ecovillage residents to live a One Planet lifestyle. The centre will play an important part in demonstrating that it is possible for human beings to live in balance with the natural world. 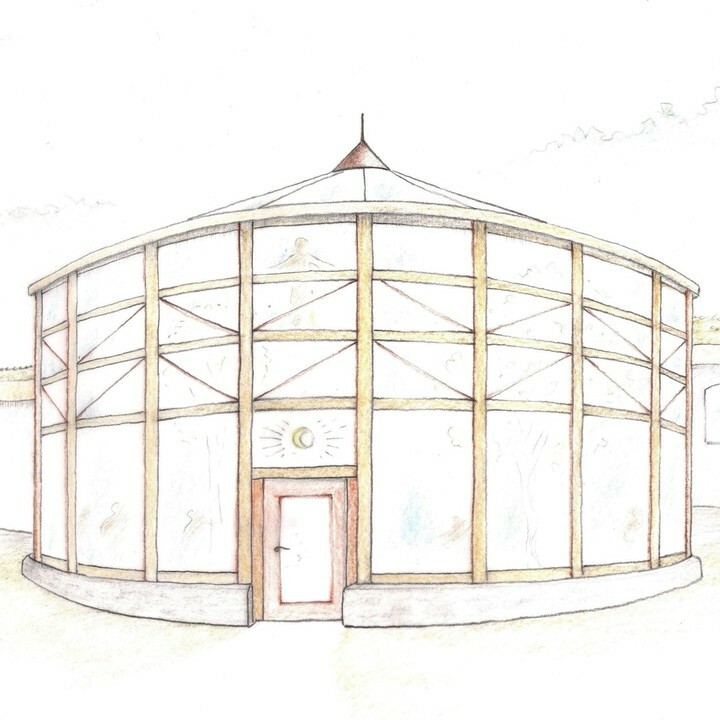 The Centre will become a beacon of hope, inspiring people to reconnect with the natural world and will host courses, events and retreats designed to creatively and expressively address the emotional, mental and spiritual needs of our time; to foster and encourage a gentle evolution in consciousness and help people in making the much-needed transition towards reconnection with the natural world (both inner and outer). We intend to create a legal covenant that will ensure the altruistic intentions of the Lammas Earth Centre are carried through for all time. We are exploring running the Lammas Earth Centre as a Community Interest Company. The Lammas Earth Centre is being constructed with local natural materials and will be powered from solar/ hydro electricity. Rainwater will be harvested and used to support an indoor forest garden. The space will be heated using willow coppice wood. Phase 1 is about building the central atrium. This will enable us to begin using the space for transformational and creatively dynamic seminars and workshops. Phase 2 is about constructing the wrap-around halls. When phase 2 is complete then the central atrium will be converted to a forest garden. So far we have built the stone walls and the timber frame for the central atrium. We need your help to finish phase one: We need funds to purchase materials for glazing, flooring and a back wall. Once these elements are built we can begin to fill the space with people, music and healing. The simple fact is... we as a humanity have ONE planet; our rich and beautiful Earth. However its ecology - our ecology - is being damaged in order to support our modern lifestyles. Never in our history have we lived so separated from Mother nature: Her changing climate, alarming species collapse and natural resource depletion are happening at an unprecedented rate. A few years ago, Wales developed a revolutionary planning policy - One Planet Development (OPD) - which allows people to live and build in the open countryside as long as they meet the requirements of natural building, sustainable living and create land-based livelihoods. Here at the Lammas Ecovillage, along with the dozens of other One Planet Developments across Wales, we demonstrate a range of practical solutions to the challenge of living sustainably. The Lammas ecovillage is essentially a collective of smallholdings. Our smallholding is called Maes Melangell. It means 'Melangell's place' in Welsh. Melangell is a Welsh saint associated with protecting the natural world and we felt it pertinent to dedicate our land to her. The 7 acres of Maes Melangell is actively managed to produce delicious food whilst creating habitats for fabulous biodiversity. Every action we take is conscious in nourishing, cultivating and caring for an abundant, rich, wild landscape that gives rise to a plethora of natural flowers and herbs, alongside a landscape blooming with fruit, nuts, berries and food. 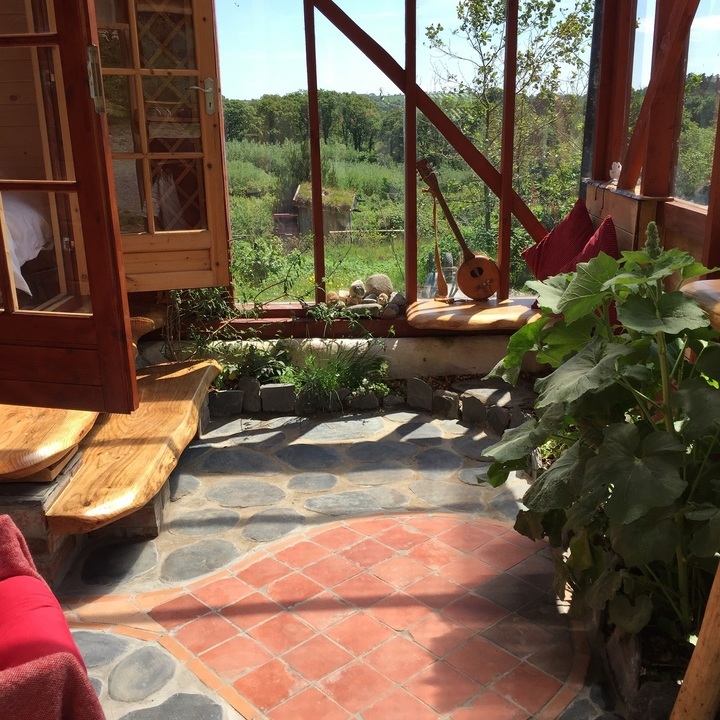 We have transformed a green desert into a place that attracts visitors from all over the world and we share beautiful natural timber framed buildings, compost toilets, solar drying wood-store, natural healing and retreat spaces to nourish and heal. We’ve hand built the foundations for the Lammas Earth Centre using stone hand-picked from a local quarry. The timber frame is constructed with local timber, and the design includes a minstrel gallery which will give an elevated view of the surrounding landscape. We’ve designed and fabricated a beautiful star form to receive the roof timbers that hallmarks the circular central space. If we are to bring about the transformational change that is needed in the world, we believe we need to address the underlying issues that are creating the degradation and decline of our Earth. In order for human beings to create a balanced relationship with the natural world we live in - we need to heal the inner nature within. By awakening our relationship with awe and wonder of the natural world, by invoking a wonder at the individual expressions that we each offer into life, and by celebrating the incredible fact that life even exists, we come back into a space of gratitude and humility in balance with all of life. Life is then recognised, honoured and cared for as truly valuable. The Lammas Earth Centre is committed to inspire, guide and support people from all walks of life in making the transition to living more lovingly with our earth, with each other, and ourselves. 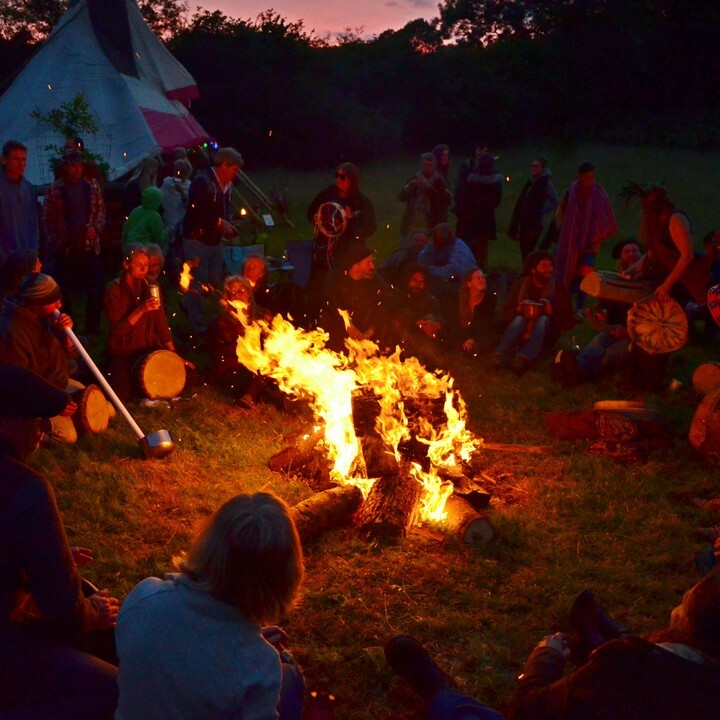 We aim to build upon the practical solutions demonstrated by the Lammas Ecovillage and the One Planet Development movement, addressing the emotional, mental and spiritual needs of our time. We aim to foster and encourage a gentle evolution in consciousness, to help serve humanity in making the much needed transition to natural harmony. Hoppi Wimbush hasn't posted any updates yet.